So you want to know how to keep muscle when cutting? As bodybuilders we work hard for every bit of muscle we add to our (formerly) scrawny frames. Assuming you have a solid diet, training program and get 8 hours per night of sleep chances are you have put on a decent amount of size during your most recent bulk. However, when it comes time to cut you want to make sure you do it properly so you don’t go and lose all those amazing gains you’ve made. Fortunately there is a way you can adjust your diet and training program to minimize muscle loss while you get your body shredded. Check out our guide below to find out how to keep muscle when cutting. If you are truly serious about getting the right plan designed for you then take our 30 second survey which will give you a suggested plan for free. A lot of people think that consuming dietary fats but that is not the case at all. In fact, dietary fats are essential to maintaining muscle mass while losing fat. Dietary fat helps burn fat tissue while keeping metabolism high and hormone levels in check – basically it stops your body from having the typical bad reaction to a calorie deficit diet. Aim to get 30% of your daily calories from healthy fats such as almonds, olive oil, egg yolks and natural peanut butter. Protein contains valuable amino acids that help you build muscle and prevents you from losing muscle. If you aren’t getting enough protein in your diet you will have a hard time maintaining holding on to that precious muscle mass when you are on your diet. Aim for at least 1 gram per pound of bodyweight. The best sources of protein include red meat, chicken, cottage cheese and whey protein. While carbs are getting a bad rap these days they are still essential for your body particularly if you are going through intense workouts like the typical bodybuilder. Aim for 2 grams of carbs per pound of bodyweight as your baseline level and it should come from foods like sweet potatoes, brown rice, quinoa and green leafy vegetables. Now here is where things get interesting. Instead of consuming 200 grams each day we will vary the intake to keep your body guessing. Try going low carb for 3 days, medium carbs for 1 day and then high carb for 1 day. This will give your muscles the nutrients they need without messing up your diet. On your low intake days aim for 100-200g of carbs. On medium intake days aim for 400g and on high intake days aim for 500-600g. Start with those levels and adjust depending on your needs. Make sure your protein and fat intake are always high so you don’t lose that muscle! 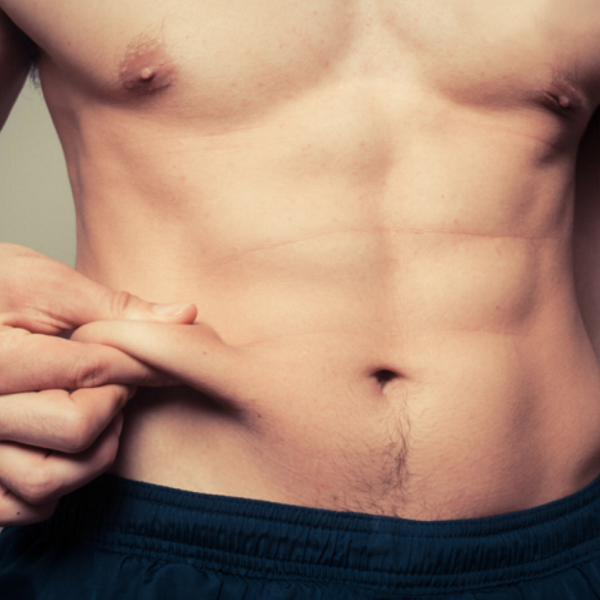 If you do this correctly you should lose about 1-2 pounds of fat per week. Any more than that and you are probably burning muscle mass. If you are losing less than that then adjust your calories downwards and add in an extra low-carb day. After a certain amount of time when you have been doing everything right and getting good results that your body gets used to what you are doing and you will eventually plateau in your cut. If this happens to you a great way to shock the system and lose more fat is taking in fat burning ingredients. These ingredients will increase your metabolic rate so your body will burn more calories throughout the day. This is a tactic many bodybuilders use when they need that extra push to lose the last pounds of unwanted body fat. These supplements are however no magic pills they simply give you slight edge to lose the last bit of fat.